Damnoen Saduak Floating Market in Ratchaburi is one of the most popular floating markets in Thailand. 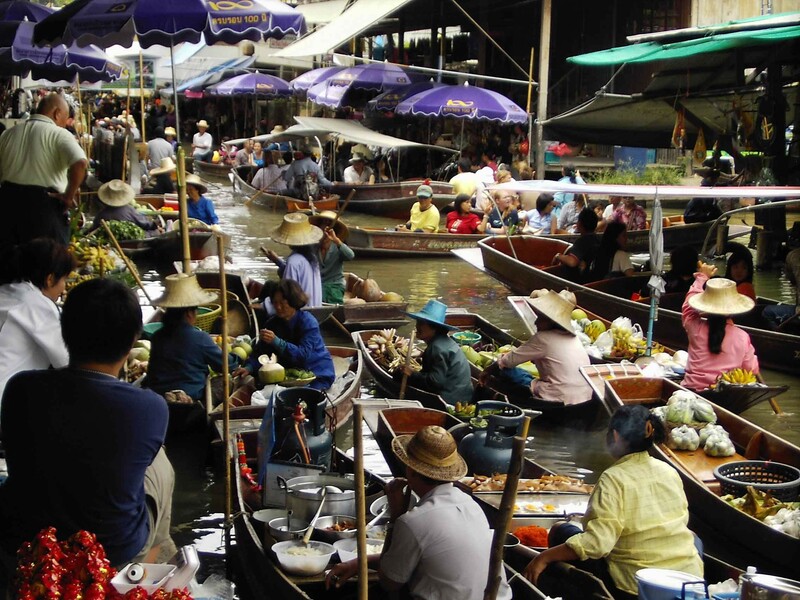 Every day many Thai and foreign tourists travel here to shop, eat, and absorb the atmosphere of Thailand water markets that have been like this for over a 100 years. Klong Damnoen Saduak Damnoen Saduak is the straightest and longest canal in Thailand.